WordPress comes in two forms, hosted and self-hosted, and if you will be using it for a business site then the option you need is the self-hosted version. This means you need to find a web hosting company to run it on as doing it this way offers you endless flexibility with the software. So how do you go about finding WordPress hosting that is good enough to use for a business? Customer Support – Check numerous sites for reviews on how good is customer support. It is no good if your site goes down at 2am in the country it is hosted and no one is there. You need a real person to respond within an hour of any problems surfacing. Hosting Country – Not many people consider this as they usually go with the country they live in, however if your site is for the world market then it does not matter where you host it, and you may get a much better deal in Canada, Singapore, and numerous other countries. If your site is gambling related it is usually best avoiding US hosting and going with the UK due to local laws. Control Panel – This is also very important, some hosts use bespoke CP’s and they can be pretty useless, you should be looking for one with CPanel or Plesk, with the former being the most powerful. Shared/VPS/Dedicated – These days dedicated is for really big sites, while shared is for personal sites, so you are best going with a VPS system that allows you to easily upgrade the system resources such as memory, storage capacity, bandwidth and number of CPU’s. 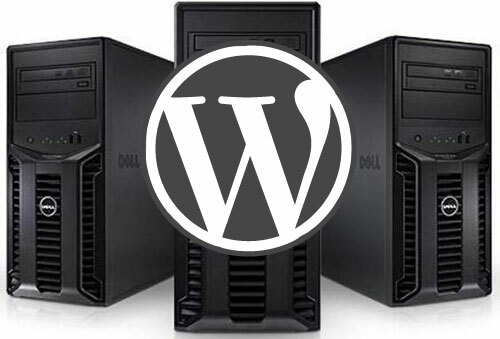 All hosting control panels allow easy install and management for WordPress hosting, and using WordPress itself is very easy to do, so now you have no reason not to have a web site for your business.